To all current members, please recall the schedule change for the December meeting. 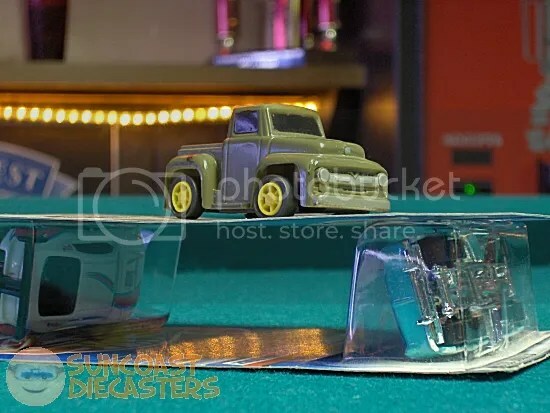 Okay, gang, this is Suncoast Diecasters‘ final meeting for 2013, so let’s make it a good’n! And remember, you never know when a Christmas sale might pop up! Now, onto the November photos! 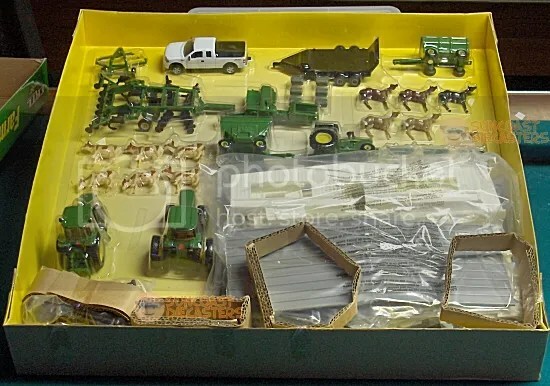 GREEEEEN Acres is the place to be! 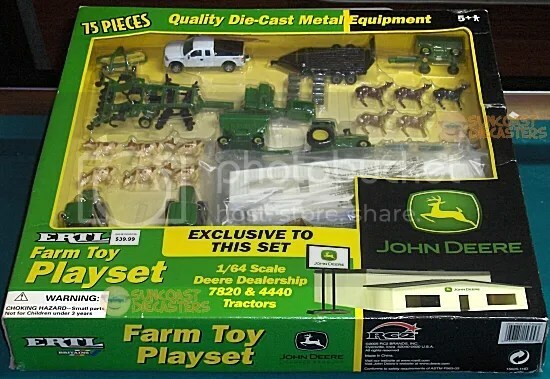 Farm playsets is the life for me! 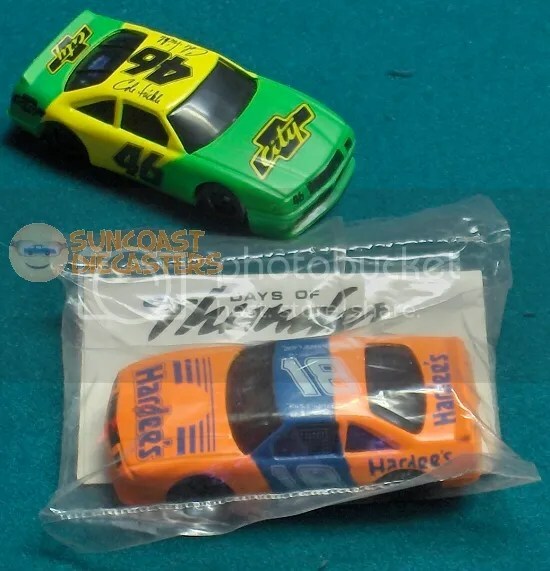 Ken bought these Hardee’s/Applause Days of Thunder miniatures from me. Actually there were two #46 cars, one still in the baggie; however, I couldn’t arrange them in such a was as to eliminate excessive glare on the bagged one, so I just left it out of the photo. Photographer’s discretion and all that, ya know. I’ve heard that Tom Cruise didn’t meet the height requirement for these cars. 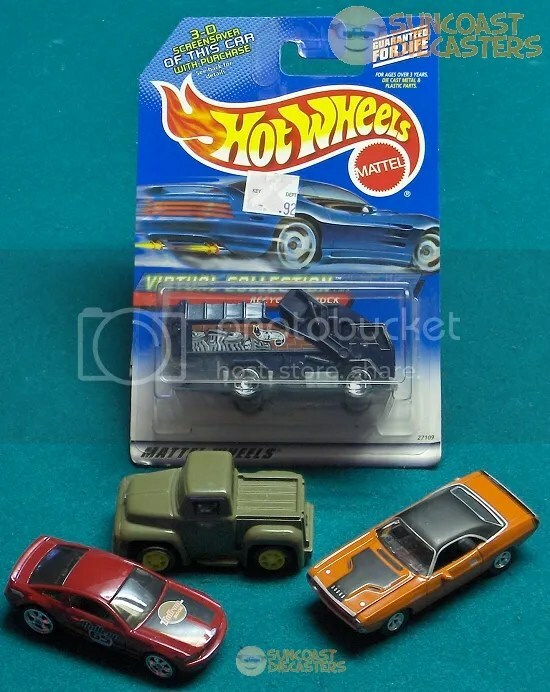 I mean, literally, *these* cars. More of Ken’s treasures, including the second love of his life, a Willys model. The first was a hand model in an Avon catalog. 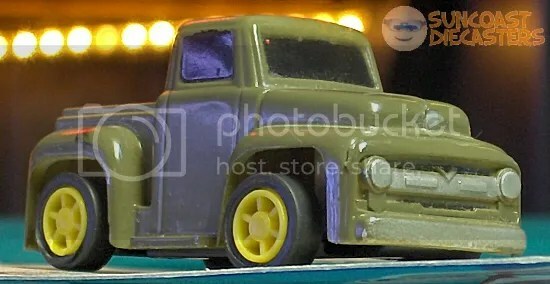 More of more of Ken’s treasures, featuring the other first love of his life, a garbage truck. 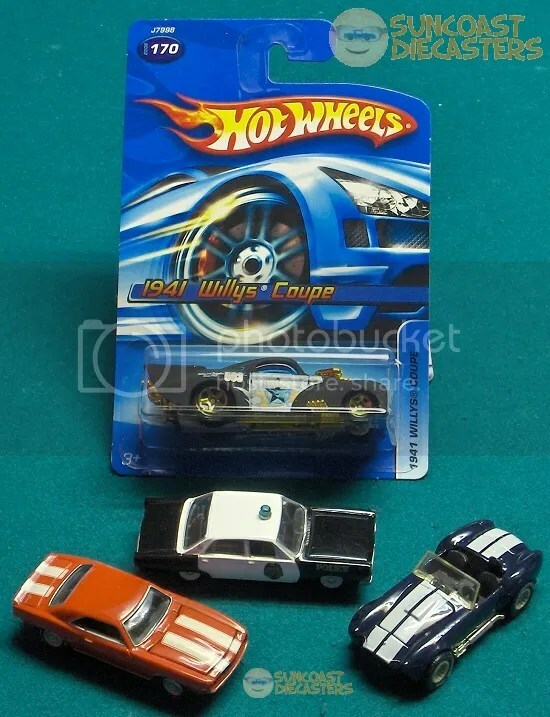 This shot also includes the Charger from ”Fast and Furious”, which is neither a Willys or a garbage truck. Perhaps you noticed that oddly-proportioned little olive-drab tooler in the above photo. That little fellow was — at least for the November meeting — Ken’s pride and joy. He beamed and cavorted so much about this little guy that I was compelled to come up with a fancy portrait. With Krista’s help (i.e., the Mattel bridge), this is the achieved result. The light rope in the background may (or may not) be an example of bokeh. And now, because it’s the holiday season, I offer you this close-up. 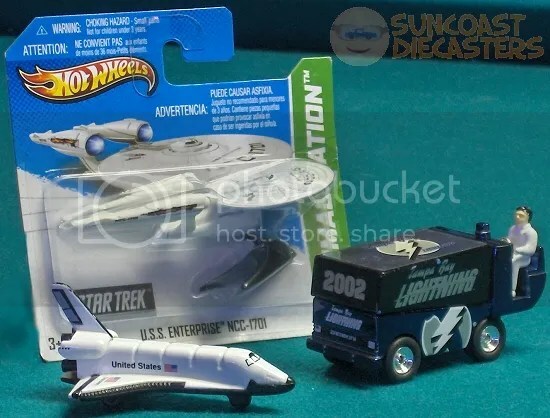 So Krista got all “space theme-y” with this Space Shuttle Discovery, this reboot Enterprise with reboot battle damage, and this Tampa Bay Lightning Zamboni with ion propulsion and atomic disruptors. Or, something. Plus, the Zamboni has Real Riders. Only at Suncoast Diecasters, people. I credit the Holy Spirit with this re-found find among Bob ‘s wares. 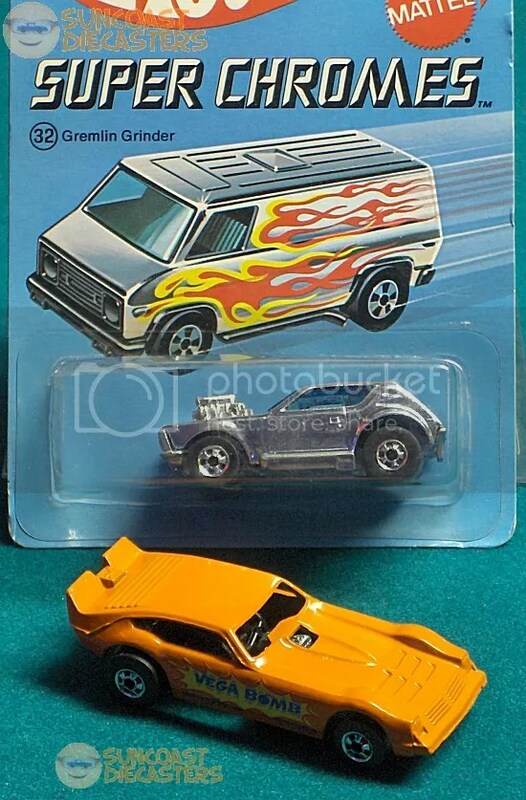 I hadn’t seen Super Smooth since the Great Walmart Time Shift, and never thought I’d see one again, much less actually own one. 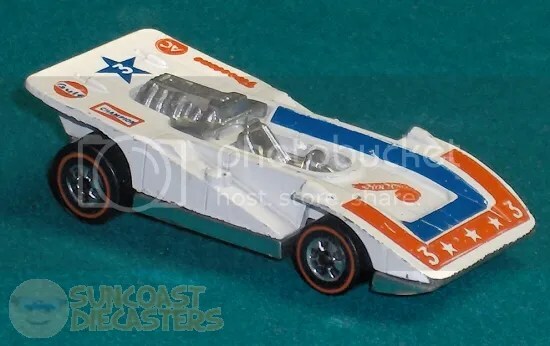 Bill does his manic Mattel magic again, not only finding a Redline Steam Roller, but actually finding a prototype with a chromed plastic base. Methinks Bill lives in a parallel universe where ”rare” toys are pouring out of a factory. 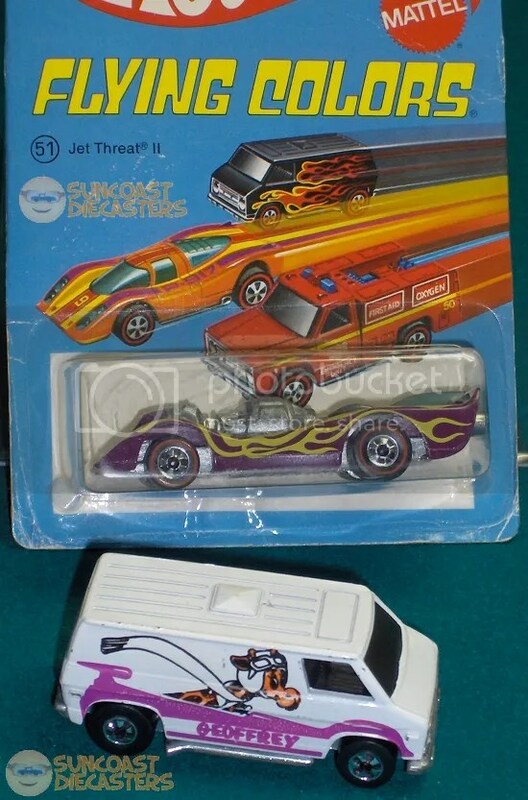 Bill again, with an exceedingly rare carded Jet Theat II, and an exceedingly giraffed Super Van. Go ahead, sing the jingle; you know you want to. 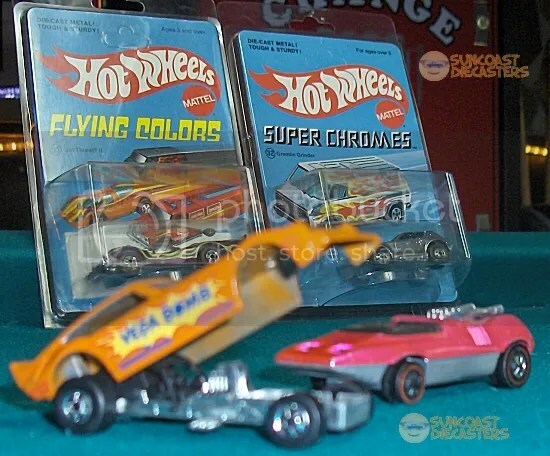 …Not to mention an excruciatingly rare carded Super Chromes Gremlin Grinder, and a painfully orange Vega Bomb. I couldn’t write a caption because the orange hurt my eyes. 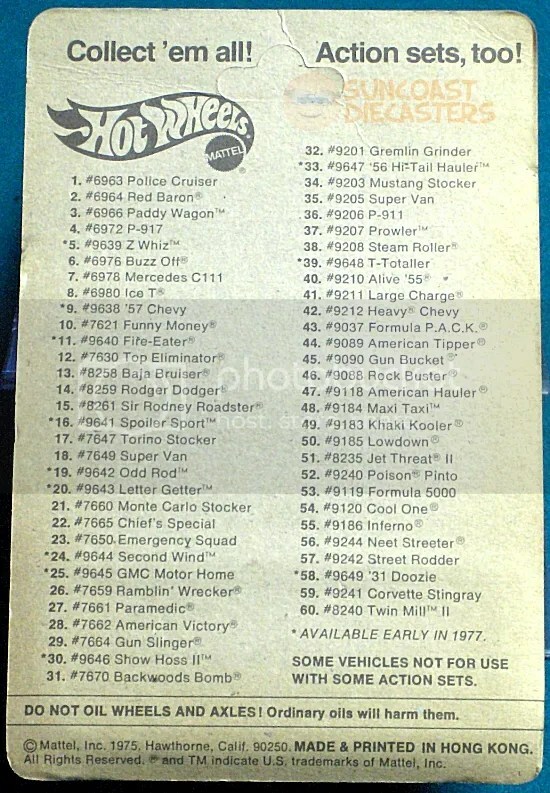 Print this out and take it to the store with you, so you can collect all the latest models! I was going for another artsy shot. It actually turned out the exactly the opposite of what I was going for — nicely focused up front, blurred in the back. Yet, I still got the “through the Vega Bomb” view I wanted, so I’m happy. See you at the December meeting — which is closer than you think!!! This entry was posted in Find of the Month, Monthly meeting. Bookmark the permalink.